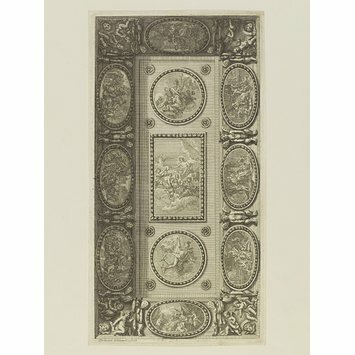 This appears to be an early state before the name of the publisher was added. Juan Dolivar. 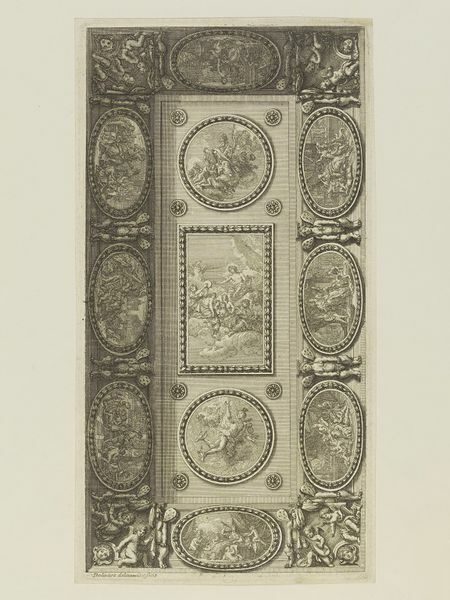 Design for a ceiling with a central panel showing Apollo. Paris, about 1690.